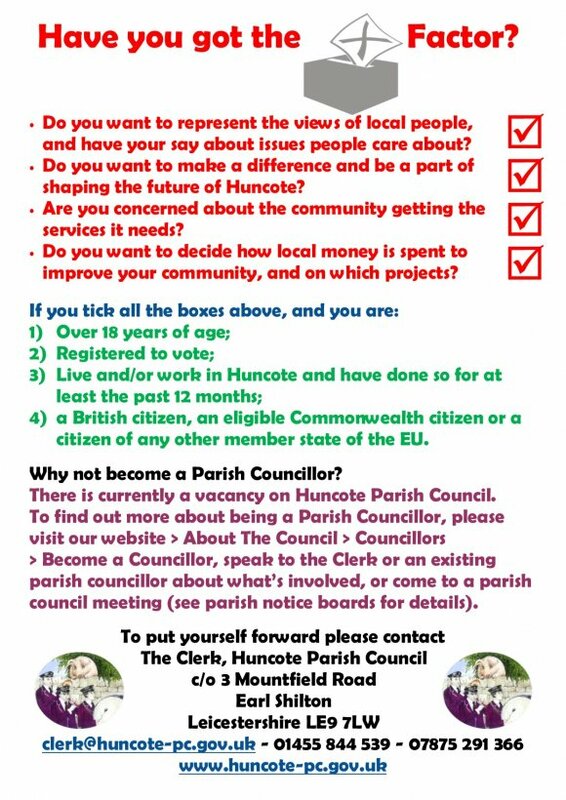 There are currently three vacancies for a parish councillor in Huncote. For more details about the role and for how to apply, please go to our Become a Councillor page. HTML5 validated. WCAG compliant. Page generated in 0.0886 seconds.